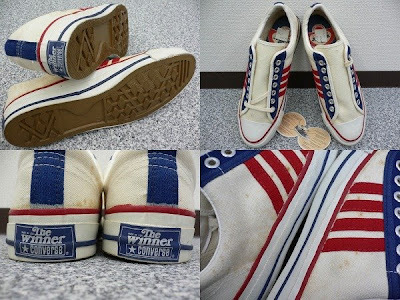 The Converse Blog: Friday Flashback: The Winner Built by Converse, Just for Sears. Plus Converse/Eastbay Classic. 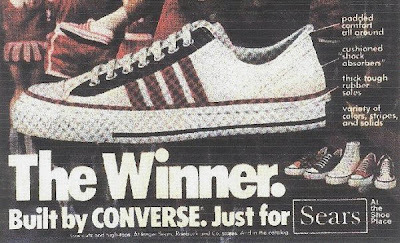 Friday Flashback: The Winner Built by Converse, Just for Sears. Plus Converse/Eastbay Classic. All is right with the world...well relatively speaking that is. What I am trying to say is that we finally have our new (old) PC back. This means a few things, but for the purposes of this blog it means that I have all of my pictures back. Honestly it was touch and go there for a few days, but we made it through. It couldn't have worked out any better because today is Flashback Friday. With a big return, I'd better make it a winner...okay that was cheap, but stay with me. 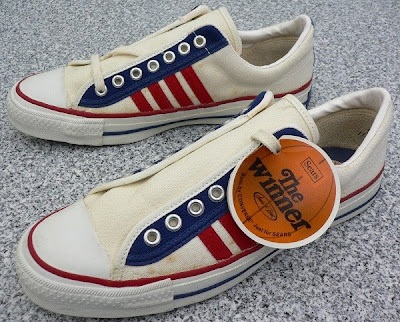 Back in the day Converse teamed up with Sears to produce a unique brand of shoes by the name of the The Winner. 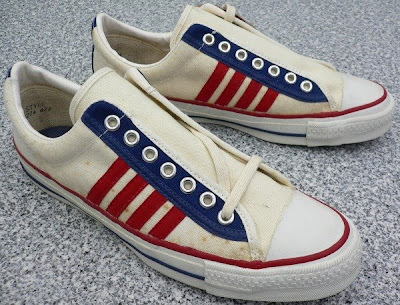 These shoes featured 4 stripes and only reference converse on the heel plate. This bottom picture is from Sneaers.Pair.Com, if you haven't been to this site you're really missing out on some serious knowledge. If you think about it The Winner brand is a precursor to what's going with Converse and Target with the One Star brand. Well that's it for today, thanks for checking out the blog. Converse and Eastbay are putting on the first annual Converse/Eastbay Classic tomorrow at the Al McGuire Center in Milwaukee. For more info check head over to eastbay. For more breakdown on some of the teams participating in the one day event check out this article over at Milwaukee's Journal Sentinel.